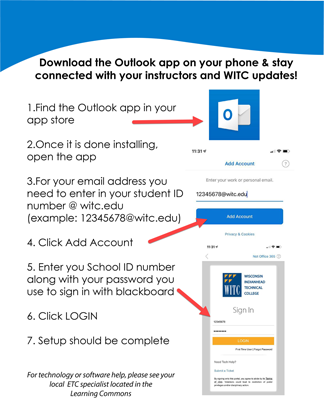 How do I get WITC email on my smart phone? 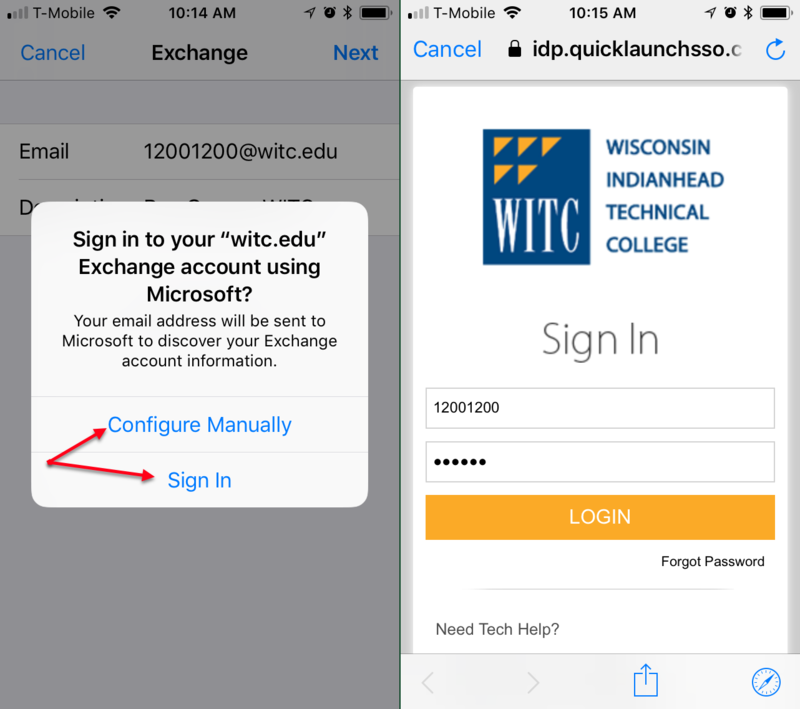 All three options will let you read your email, installing the Microsoft Outlook app or adding your email account directly to your phone are the two easiest ways to have access to your email. This is probably the easiest way to keep track of your WITC email on the go. Follow the directions below for setting this up. 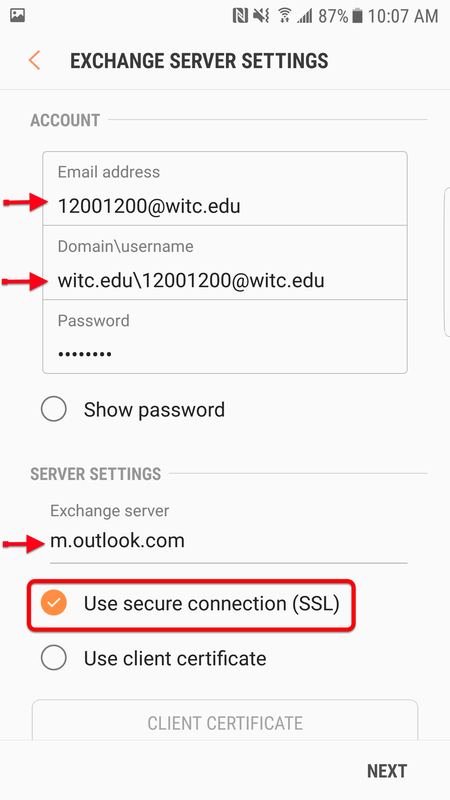 Check "Use secure connection (SSL)"
You will be asked some permissions on what to sync and how often, then you're done! 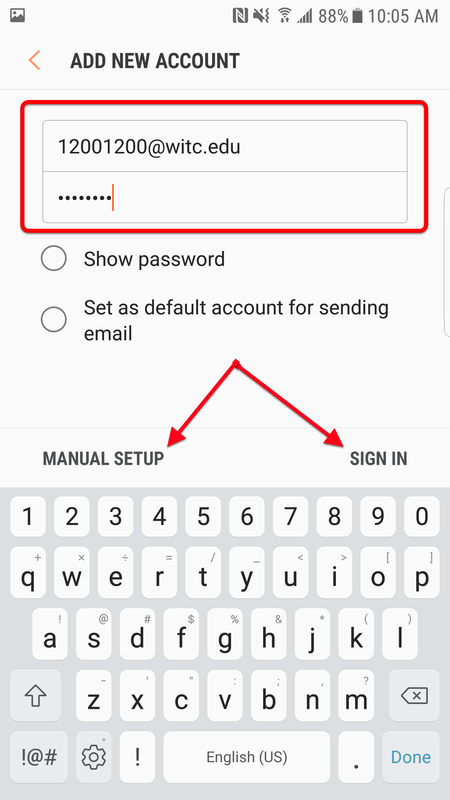 A screen will pop-up with "Configure Manually" or "Sign In", select "Sign In"
If the WITC screen doesn't appear or you get an error message, select "Configure Manually" and enter the same information from the Android section. 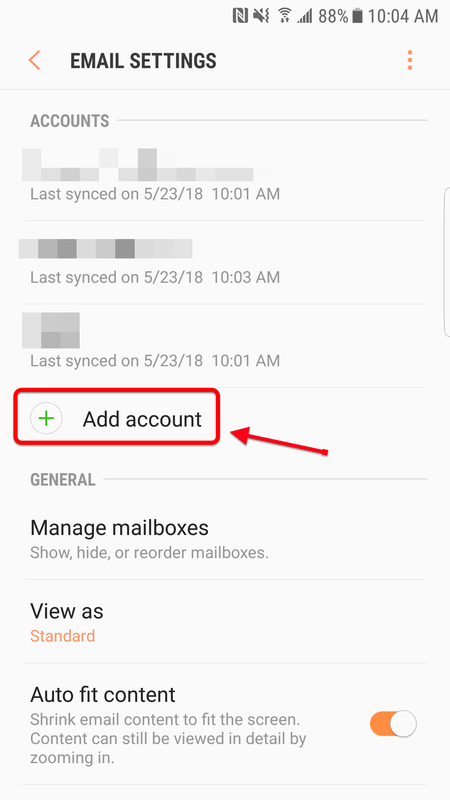 Select your desired options for syncing and you're done! How do I install Office 365? 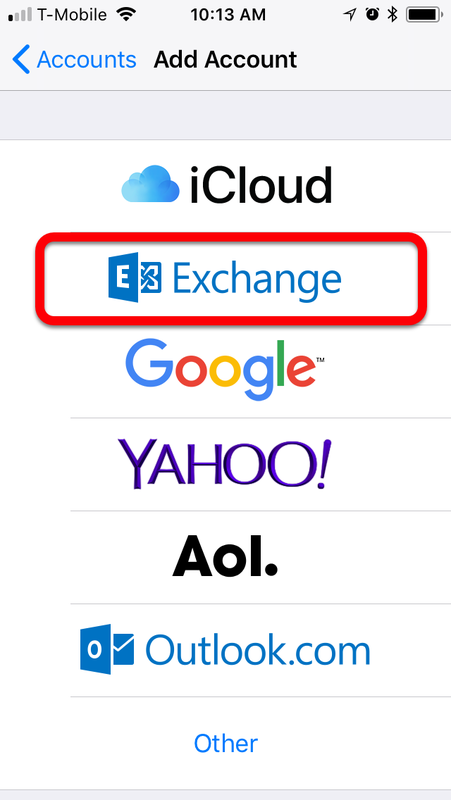 How do I sign into Skype for Business?